I called my soul and asked her to dive down into the floods, whose distant roaring I could hear. I: ”’I will accept what you give. S: “So listen. There is old armor and the rusty gear of our fathers down here, murderous leather trappings hanging from them, worm-eaten lance shafts, twisted spear heads, broken arrows, rotten shields, skulls, the bones of man and horse, old cannons, catapults, crumbling firebrands, smashed assault gear, stone spearheads, stone clubs, sharp bones, chipped arrowhead teeth –everything the battles of yore have littered the earth with. From the flooding darkness the son of the earth had brought, my soul gave me ancient things that pointed to the future. She gave me three things: The misery of war, the darkness of magic, and the gift of religion. a new religion? I sat up for long nights and looked ahead at what was to come and I shuddered. Do you believe me? I am not too concerned. What should I believe? What should I disbelieve? I saw and I shuddered. memory will not leave me alone. Yet I curtail my longing, which would like to stretch out into the future, and I return to my small garden that presently blooms, and whose extent I can measure. It shall be well-tended. the life of those who know themselves. A knower may know himself that is his limit. fields, and who neither knew nor recognized, but who lived by what lay at hand, and received by grace what lay far-off He was a child and unsure, yet full of certainty; weak and yet blessed with enormous strength. When his God did not help, he took another. And when this one did not help either, he castigated him. And behold: the Gods helped one more time. Thus I discard everything that was laden with meaning, everything divine and devilish with which chaos burdened me. Truly, it is not up to me to prove the Gods and the devils and the chaotic monsters, to feed them carefully, to warily drag them with me, to count and name them, and to protect them with belief against disbelief and doubt. enough, so do not pile up more limitation. Hence I cut away everything confining. I stood here, and there lay the riddle-some multifariousness of the world. And a horror crept over me. Am I not the tightly bound? Is the world there not the unlimited? And I became aware of my weakness. What would poverty; nakedness and unpreparedness be without consciousness of weakness and without horror at powerlessness? Thus I stood and was terrified. 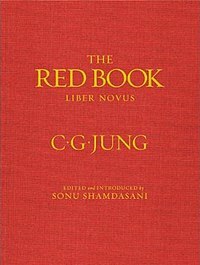 And then my soul whispered to me: ~Carl Jung, Red Book, Pages 305-307. Previous Previous post: Carl Jung: Hitler himself (from what I heard) is more than half crazy. Next Next post: Carl Jung on being "Alone."